The Nike One RZN range have been played by some of the most famous golfers in the game including Tiger Woods and Rory McIlroy to name just a few. The RZN Platinum is engineered to provide softer compression for better feel off the club and high greenside spin and control. 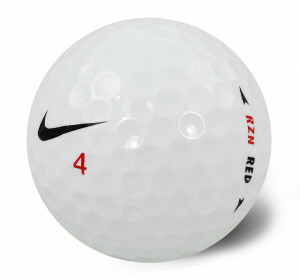 If you are looking for a ball to help you grab that little bit extra bite on the greens then this is the one for you! With new SpeedLock Technology, the RZN Red is aimed at golfers with moderate swing speeds who are looking for a combination of distance with spin and control around the greens.